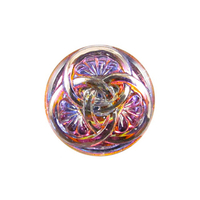 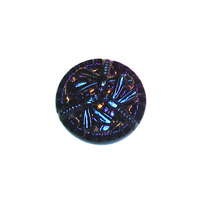 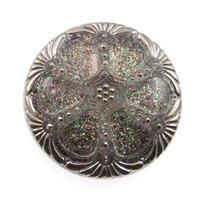 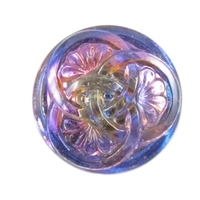 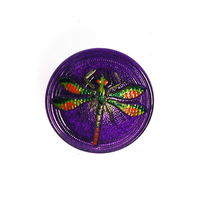 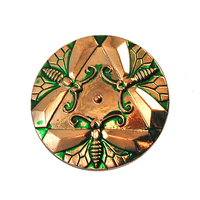 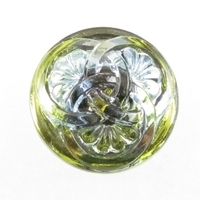 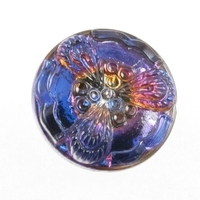 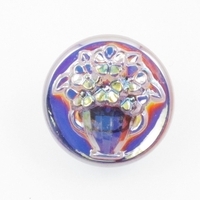 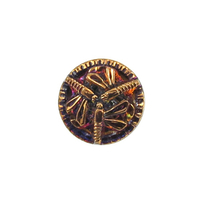 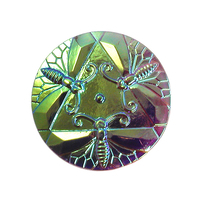 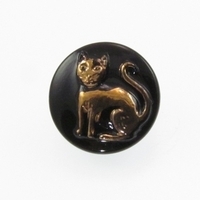 These beautiful contemporary Czech glass buttons are pressed by hand in vintage molds. 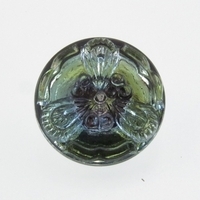 Bead and button making has dominated this region - now the Czech Republic - since the 8th century, when King Charles of Bohemia invited German glass makers to settle in the forests of Northern Bohemia and centralize the production of glass for his Empire. 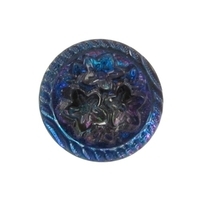 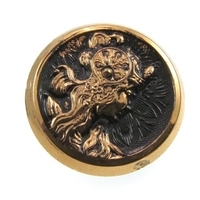 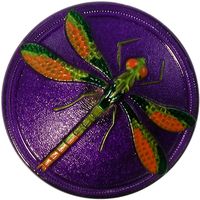 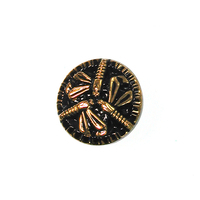 Famous for its unique and beautiful jewelry and button manufacturing for many centuries, the button industry in the area has dwindled to two factories currently in operation. 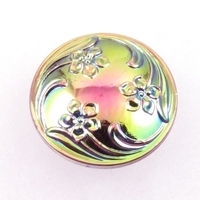 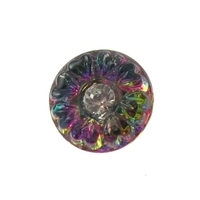 Czech Glass Buttons clear with multicolor glitter round with elegant deco design and metal shank 42mm New!